I've recently added two planner packs to my Etsy shop. 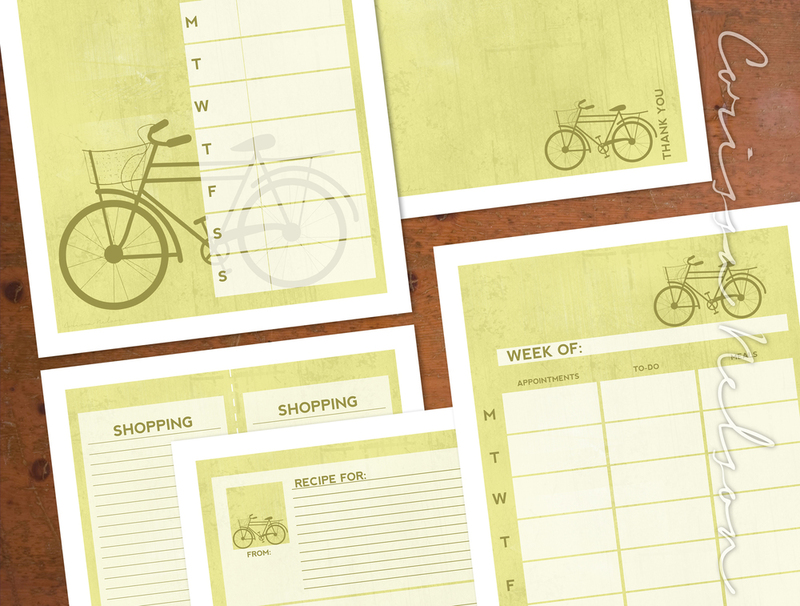 Both packs have fun fresh designs and include a number of useful printables. My personal favorite is the large planner page that includes appointments, to-do lists, and meals all together in one spot. I post it on my fridge to keep the week moving along smoothly. The printable recipe card page, shopping list page, thank you card, and art planner are also useful printables to have on hand. Take a look at the Olive Bike Pack here. 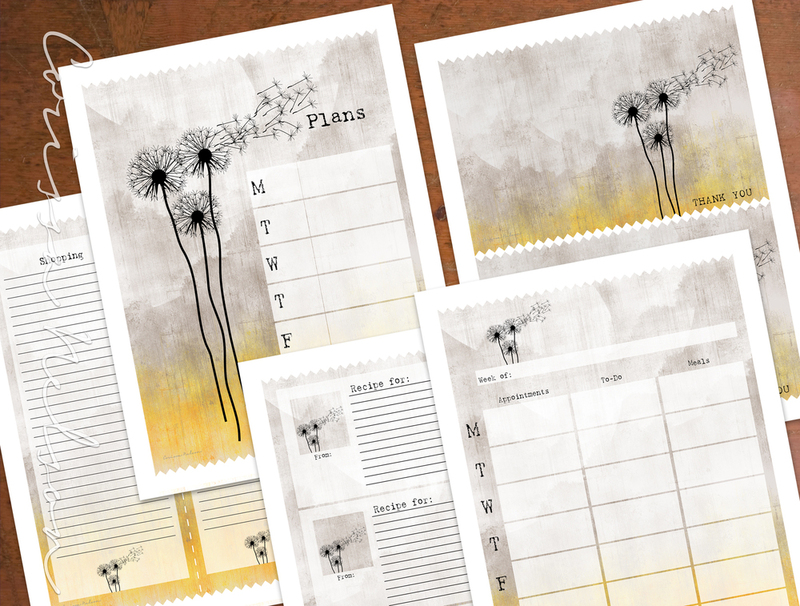 See the Whimsical Dandelion Pack here.